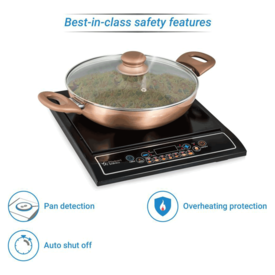 Faster Cooking Thanks to its large heating element, the 1800W Flipkart SmartBuy induction cooktop heats food 85-percent faster than regular gas stoves. As a result, it is highly efficient and aids in speeding up the cooking process. Energy Efficient Up to 50-percent more energy-efficient than conventional gas burners, the Flipkart SmartBuy Induction cooktop consumes less energy. 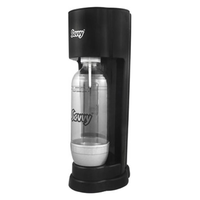 The wattage is consumed as per size of the vessel and its thickness. Not only that, you can check the power consumption for a particular duration post cooking. 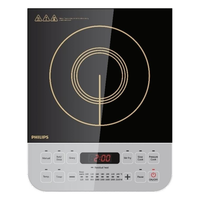 Faster Cooking Thanks to its large heating element, the 1800W Flipkart SmartBuy induction cooktop heats food 85-percent faster than regular gas stoves. As a result, it is highly efficient and aids in speeding up the cooking process. Energy Efficient Up to 50-percent more energy-efficient than conventional gas burners, the Flipkart SmartBuy Induction cooktop consumes less energy. The wattage is consumed as per size of the vessel and its thickness. Not only that, you can check the power consumption for a particular duration post cooking.